I’m excited to share the results of new original research on corruption in Uzbek higher education, written by Albina Yun. Yun is a graduate of the OSCE Academy in Bishkek, Kyrgyzstan and the Uzbek State World Languages University. She is a higher education professional currently working at Westminster University in Tashkent, Uzbekistan. Yun’s research, written up as a policy brief for the OSCE Academy, is a hard-hitting account of the crippling effect of corruption on the quality and accessibility of higher education in Uzbekistan. It is one of very few works in this area: not only in its focus on corruption in the Uzbek context, but also generated by a locally based researcher. Whilst the Uzbek government took an important step forward by implementing its first anti-corruption action plan in 2015, Yun is quick to point out that corruption in higher education remains systemic, “a massive issue with prejudicial effects” (p. 15). The results of corruption lead to graduates entering the employment market with inadequate academic and professional skills, and hugely undermine the transformative role that higher education can play at individual and societal level. The normalization of corruption both by students and faculty members/administrative staff is a major concern. Ultimately, as Yun observes, unless measures are taken from the top down to address corruption, the very future of Uzbekistan may be at risk. This entry was posted in Uzbekistan and tagged admission to higher education, Central Asia, corruption, Higher education, Uzbekistan. A World Bank-funded project in Tajikistan that I first wrote about last year has now seen the implementation of a Unified Entrance Examination for university admissions under the remit of the National Testing Centre, a recent report notes. The purpose of the exam is two-fold: it aims both to widen participation in higher education and also remove some of the scope for corruption that has previously been widespread. The first cohort of applicants to start university having taken this exam began their studies in September 2014. The good news is that 41% of those enrolling are female, compared to 30% the previous year. There’s some way to go before Tajikistan can compare to OECD countries, where the majority of university graduates are now female, but it’s certainly an encouraging move for greater gender equality. A further angle that the National Testing Centre has focussed on is awareness raising in rural communities, of which not only are there many in Tajikistan, but many of which are hard to access owing to poor infrastructure and the mountains that cover 93% of the country’s landmass. 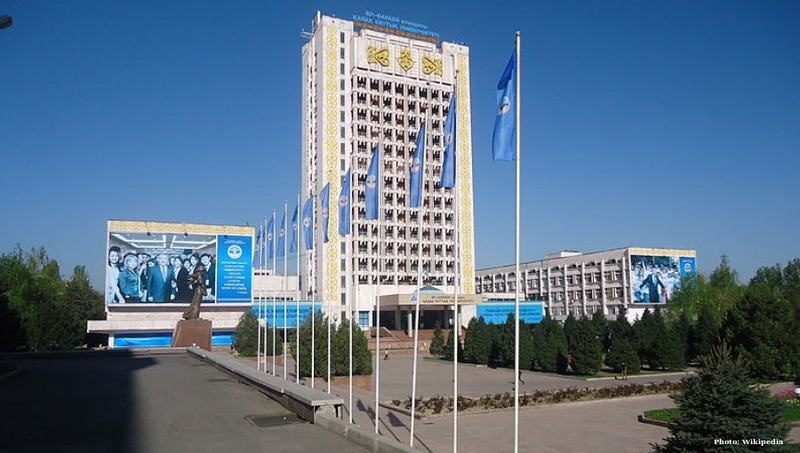 The 30% increase in the number of candidates applying to university can be seen as a sign that the first aim has in part been met (though I couldn’t find data on whether there had been an increase in traditionally under-represented groups in Tajik universities other than the gender point made above). The second objective of making the admissions process more transparent is reported positively in the World Bank article using first person testimony from students who took the exam. The concept that admission to university is based on what you know, not who you know, sets students up for a more positive experience of higher education where their talents, not their means, are recognised. It will take many more years to remove other elements of corruption from higher education, but this is a positive step if the country wishes to train skilled graduates and retain them in Tajikistan to develop its longer term potential. This entry was posted in Tajikistan, Uncategorized and tagged admission to higher education, corruption, higher education reform, Tajikistan, World Bank.